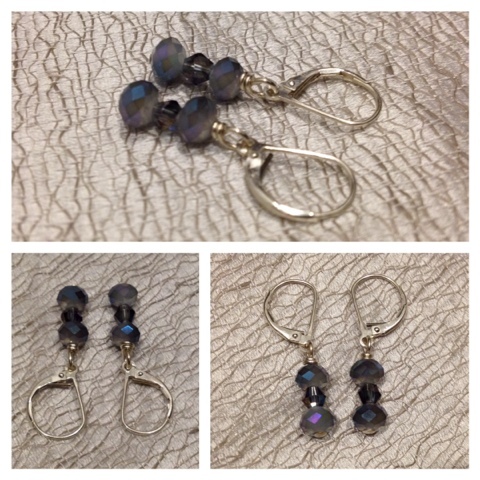 faceted 6mm grey matte crystal rondells surrounding swarovski 4mm aurora borealis crystal bicons hang from sterling silver earrings. subtle blue highlights on matte meld with your sparkler self. 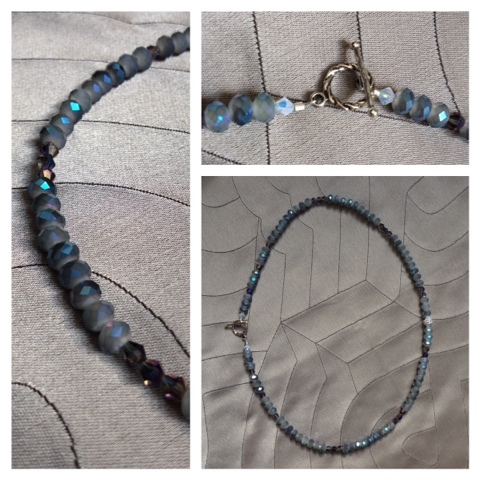 grey matte 6mm aurora borealis crystal rondells alternate with grey 4mm aurora borealis crystal bicons framing a single swarovski rhinestone saucer ending with a silver toggle clasp. sparkly with a touch of subtle, this necklace would look stellar with some tight jeans. length = 19"